Youth Culture Forever doesn’t exactly throw you in at the deep end, opening up with quiet chords it takes 30 seconds for PAWS to melt your face off with blistering chords and a guitar sound that has been considerably beefed up in comparison to 2012’s Cokefloat! Keeping in line with that beefy guitar sound but adding a catchy riff ‘Tongues’ is reflective, pondering over where a relationship has gone wrong (“Do you think we could’ve tried a little harder?”) ‘Someone New’ is a snarling punk number that deals with the theme of moving on. 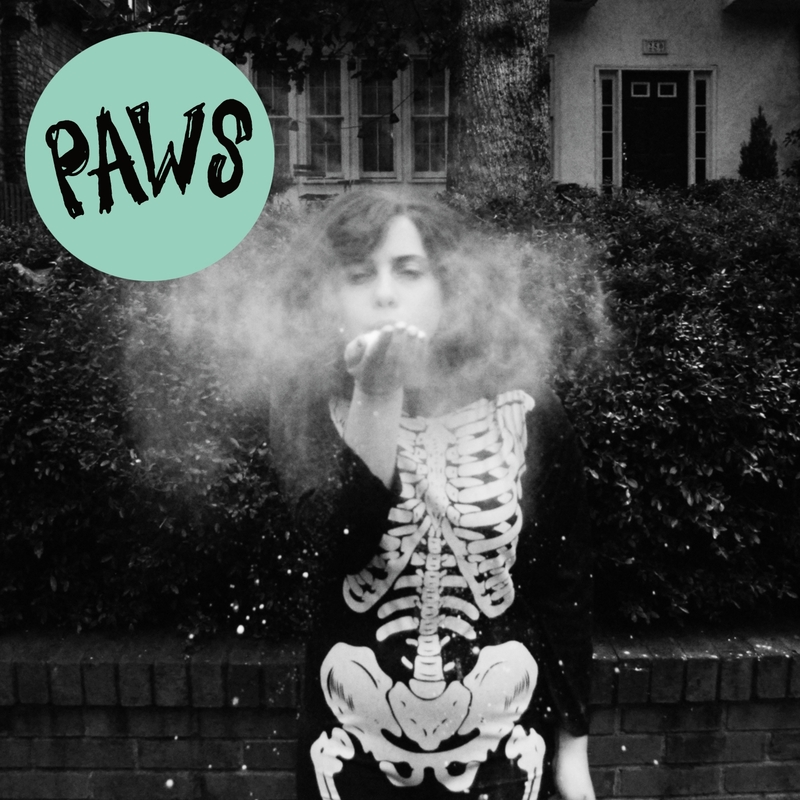 PAWS show that they have more about them than the ‘slacker’ tag they have been described within the past, singing about relationships and breakups could scream teenage angst to some, but there isn’t any of that were these songs are concerned. ‘Owls Talons Clenching My Heart’ has a chorus that is instantly memorable. ‘Narcissist’ could be taken two ways, at times it feels like they are pointing the finger at self-obsessed musicians and their lifestyles, especially after their recent incident regarding Morrissey. However, there is a somewhat personal feel to this album so the song could well be about the people that surround them. For all the good that PAWS do, there are tracks on second half of the album that makes it drop off a little. ‘Let’s All Let Go’ and ‘Great Bear’ fade into the background go through the motions and feel like filler tracks. Closing the album and clocking in at nearly 12 minutes, ‘War Cry’ is an all out attack, featuring thrashing guitars and swirls of feedback. Youth Culture Forever is a solid album and PAWS have offered up an evolved sound from their debut while successfully striking the balance between heavy riffs, loud guitars and catchy lyrics. PAWS Website. Facebook. Twitter. Bandcamp. Soundcloud. Posted in reviewsTagged Paws, Youth Culture ForeverBookmark the permalink.